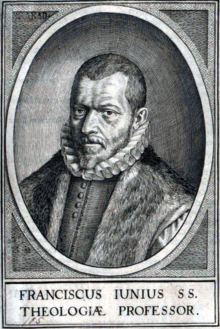 Franciscus Junius (1545-1602) was a Reformed scholar and theologian who studied under John Calvin and Theodore Beza at Geneva and later became professor at the universities of Heidelberg and Leiden. Below are excerpts from his posthumously published Opera Theologica, in which he states that the testimony of the Holy Spirit is the ultimate assurance of the divinity, inspiration and authority of Scripture. What is said of the arguments can be applied to the external testimonies as well: only the Holy Spirit can give us the full assurance of the divine origin and authority of Scripture.